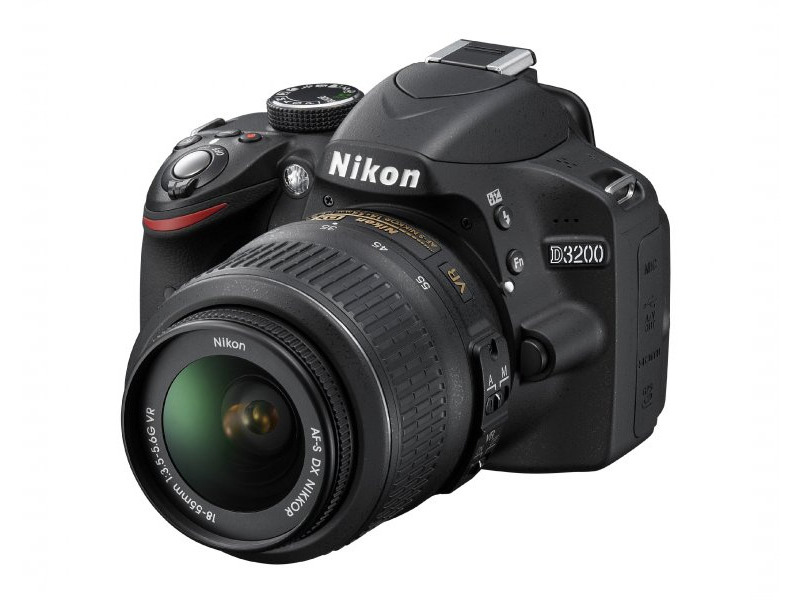 The Nikon D3200 is an entry-level digital SLR with a 24-megapixel high-resolution DX-format sensor (APS-C). It has 1080p full HD video with continuous auto focus, ISO 12,800 sensitivity, an 11-point auto focus system, 3-inch LCD display, 4 FPS high-speed burst and a built-in pop-up flash. I am happy with the ease of use, menu simplicity, image information being visible in viewfinder. weight and length of 18-105 lens. I forget to turn the camera off when I am finished with it. Not being able to set the view on the screen as a default. I am a newbie and am pleasantly suprised by the ease to use this camera. I can find things fairly quickly and the quality of the pics I have taken are very good. I still need to learn the manual side but the auto choice are great. I am found the editing software a bit daunting at first but it is quite easy to use now I am becoming familiar with it. I am used to compact cameras which auto turn off when the lens is not out, so re learning to turn off the camera will take time. More gadgets and geegaws than a swiss army knife. This Camera is fantastic. 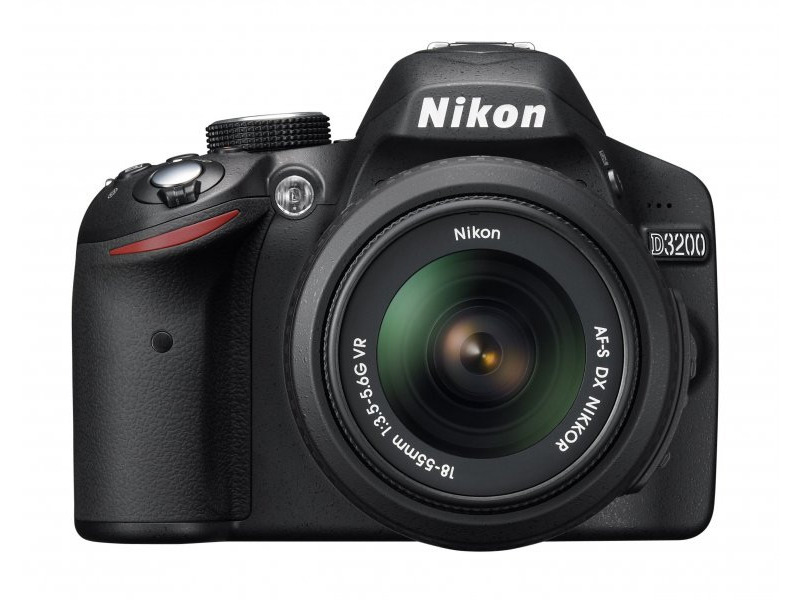 It's got more features and uses than you can shake a stick at and top it all off at 24Mp. 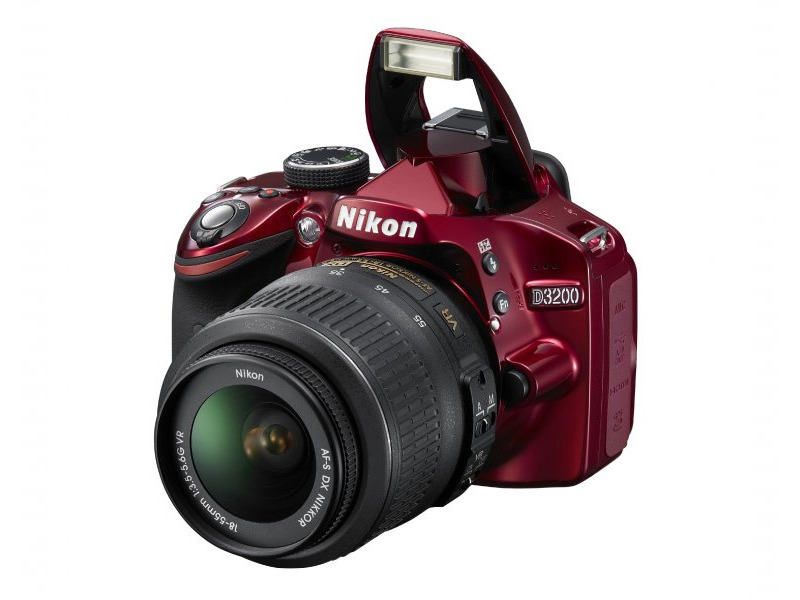 I was put off of Nikon years ago by the absolutely abysmal D100. I love Nikon glass but what good was fantastic glass if you couldn't have a body that took a picture that wasn't in focus, white balance was out, sharpness was terrible. So I ended up with Canon. Don't get me wrong Canon has nice glass too I just prefer Nikon. Anyway I bought this little guy on a lark because it was only $429 for the body and I still had an 18-70 AF-S kicking around. 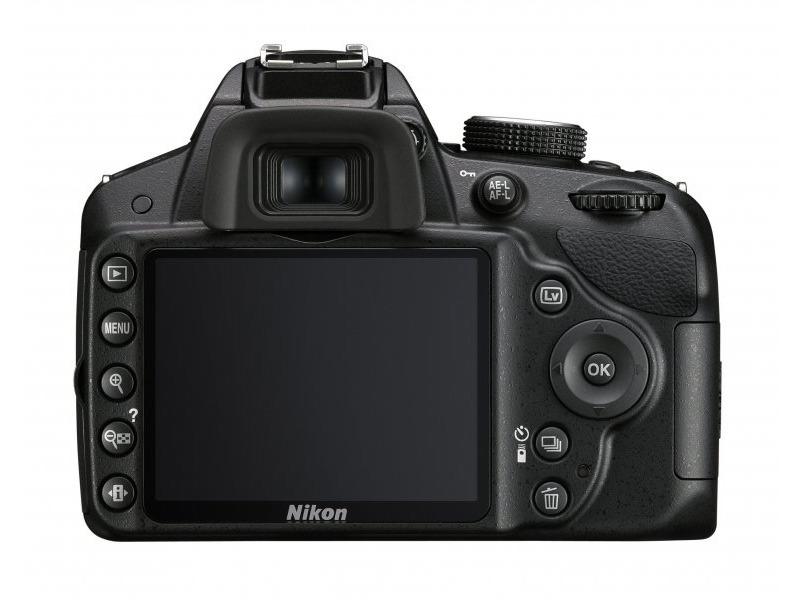 Well, Nikon has come a long way from the D100. Picture quality is outstanding and the features endless. My only beefs are that it doesn't have the motor drive for the older non AF-S lenses and a PC cable socket for studio flash. But hey, it's an entry level camera, what do you expect. It's just means I have to have a little harder look at the D800. Very user friendly,all the settings are easy to see and to find.The guide setting is user friendly,it opens up to 3 choices (shoot)(veiw/delete)(set up) so its very easy to set up for types of shoots as it displays the auto settings(which is great for us newbies).The battery lasts quite along time,the charger is nice and compact also.The video is really good,so you get the best of both worlds and when your editing you can choose to grab still photos.The color and quality seems to me to be pretty darn good.I am really happy with how fast it catches speeding objects,i was at the Edmonton Indy and I never had a blurry shot of the race cars speeding by,and the quick frame by frame was super fast. 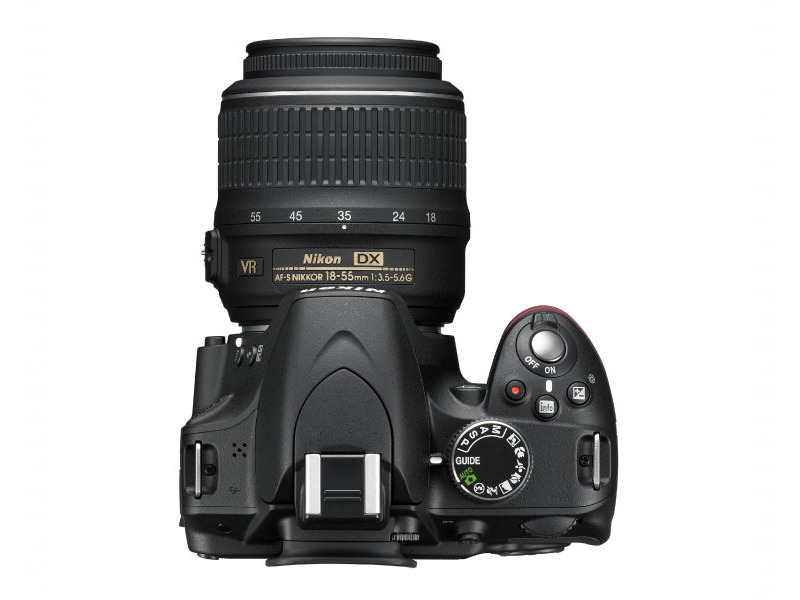 I did purchase the AF-S Nikkor 18-200 mm VR2,I LOVE this lens! I can be shaking like a leaf and with the active stabilization on,my pics are still perfect,no distortion or shake :) I am a fan,and its a perfect compliment for someone who doesnt use a tripod. I really havent found anything I dont like about this camera. I have only had this camera for 3 months and have taken about 3500 photos and I found that all the pictures were good,as in clear and they came out as exactly what I was shooting.And if the pic was busy or too close or far away ,it was my error not the camera.Also the software program that Nikon supplied has a good editing program,again as user friendly as the camera.